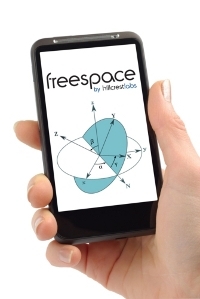 Hillcrest Labs has just announced the availability of Freespace for manufacturers and component suppliers of smartphones and tablets. With Hillcrest’s spanking new Freespace MotionEngine for Mobile, where this is an embedded software solution which will help one manage and enhance the combined performance of motion sensors that are frequently found in smartphones and tablets. We are talking about accelerometers, magnetometers, and gyroscopes here, allowing current motion-based applications to be ready to deliver next-generation user experiences. Of course, we would be definitely interested in seeing just what Hillcrest Labs is able to cook up with the wider availability of Freespace – and the potential uses and applications will definitely be something worth looking into. For starters, the mobile industry currently has a specific set of sensor requirements, where among them include the need to work with a variety of sensor suppliers and application processors across multiple mobile operating systems, maintain low costs, minimize battery usage, and extract the maximum performance out of the available sensors. As smartphones and tablets will continue to move forward in the wider use of different sensors, it makes perfect sense for the need for superior sensor fusion and calibration in order to improve accuracy and support more advanced applications. With Freespace MotionEngine for Mobile, you can be safe knowing that a necessary foundation for a variety of mobile applications is already available.